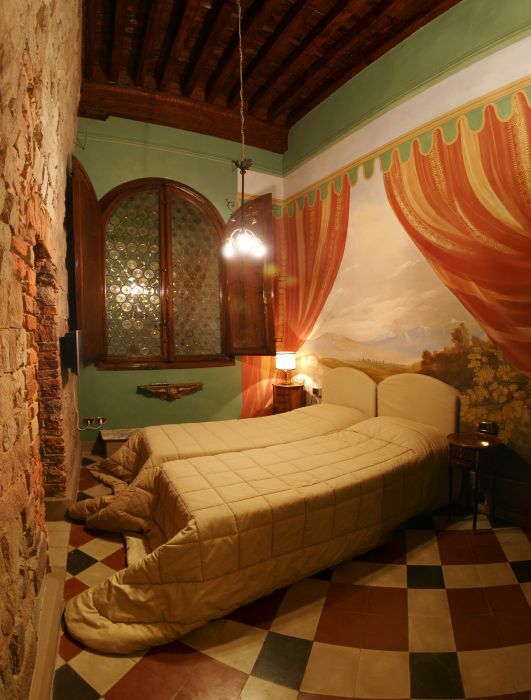 An exclusive guest house managed directly by the owner in the historical centre along the most important street of Lucca city. 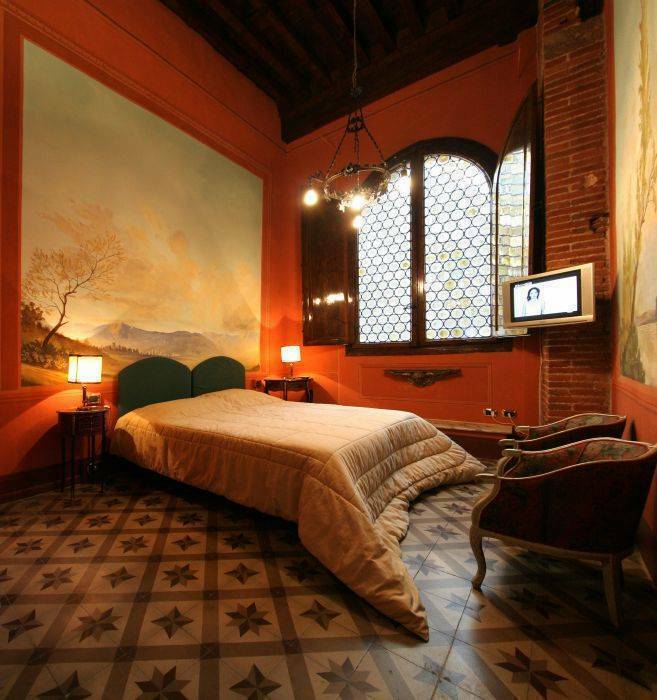 the indispensable modern comforts: all of these can be found at Alle Bifore Guest House. The first thing that you will notice entering from the front door is the warm and welcoming atmosphere. 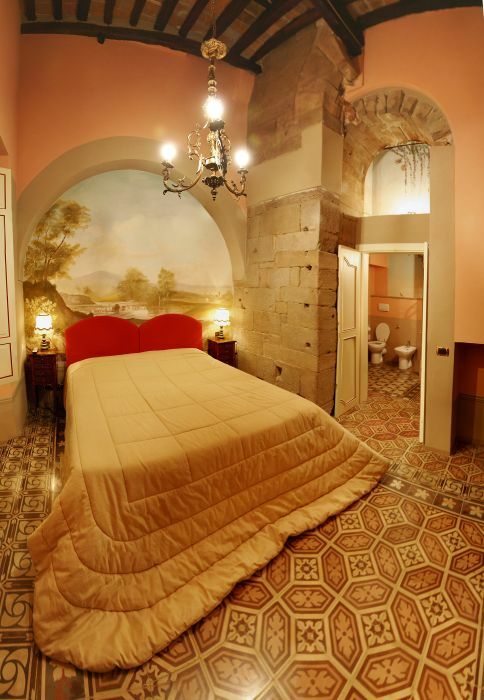 4 spacious rooms with beautiful frescoes, all doubles, each of different architectural forms and furnishings with internal bathrooms with shower, air-conditioning (hot-cold), tv lcd. 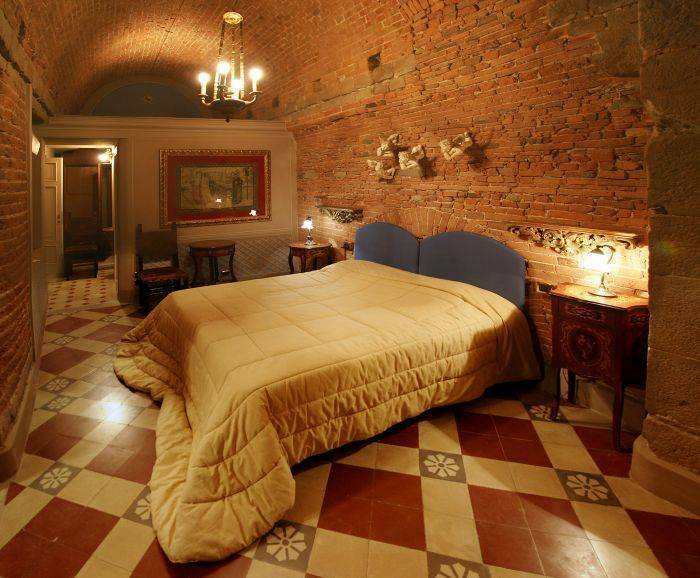 We have a connecting room with possibility of a third bed with extra charge. IMPORTANT: PLEASE LET US KNOW YOUR ARRIVAL TIME IN ORDER TO ARRANGE THE CHECK-IN, WE DO NOT HAVE A RECEPTION! 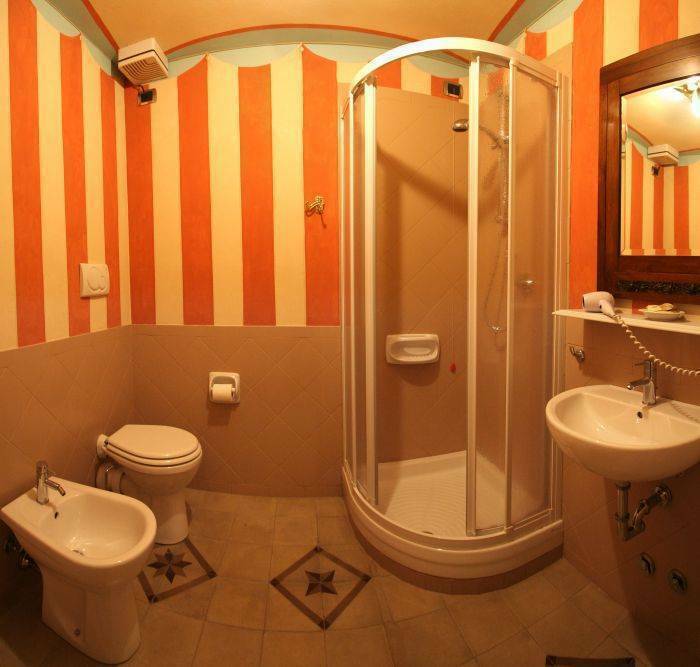 Alle Bifore Guest House and Apartments are conveniently located in the historic centre of Lucca, near the most beautiful squares rich of nice cafe and bars where you can spend some pleasant moments. The old and beautiful churches, where you can listen opera and concerts of Puccini, Verdi, Mozart, are easy to reach on foot from the house. From Elisa door: enter via Elisa, go straight on until via S. Croce, after Bernardini public square, to the crossing with via Rome and via Cenami take the road on the right, via Fillungo n. 5 in front of the church of Saint Cristoforo. From S. Pietro door (train station): enter Corso Garibaldi, after that turn to the right in Via San Girolamo and go straight until a public square, piazza del Giglio, go ahead in via Beccheria until piazza S. Michele, turn to the right in via Rome after which the first road on the left in Via Fillungo to n. 5 in front of the church of Saint Cristoforo. From piazzale Verdi (bus station): enter via San Paolino and go straight on, after san Michele square enter in via Rome after that the first road on the left in via Fillungo to n. 5 in front of the church of Saint Cristoforo.